It must be nice to have a car with a media system that can be updated - some of us are lucky just to get Bluetooth. 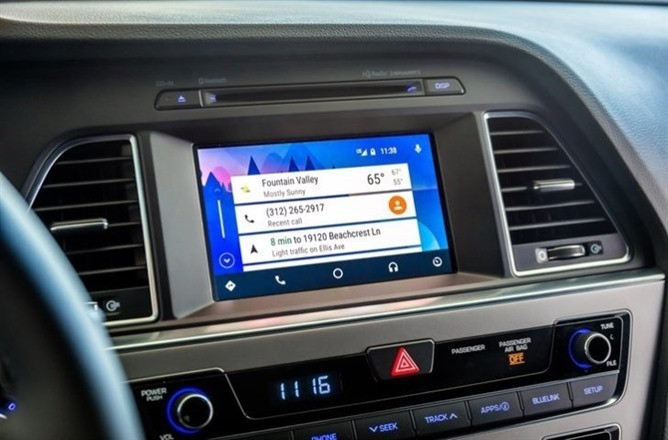 Some Hyundai owners can actually upgrade their in-car entertainment systems to give them Android Auto support, and today that list expands by four according to Cnet. Owners of the 2016 Sonata Hybrid (standard and plug-in), 2016 Veloster, and 2015/2016 Azera can now get some sweet, sweet Android Auto action with a download and a bit of legwork. To get started, head over to MyHyundai.com and put in your car's Vehicle Identification Number. You'll need a standard-sized SD card and a few hours of time, first to download the package via a standard PC, then to transfer it to the card, then to run the update program on your car. It's not exactly a streamlined process, but anyone who's ever rooted an Android phone and installed a custom ROM can probably handle it. And the end result - shiny new Android Auto goodness for your vehicle - is certainly worth it. The four new models from today join some variants of the standard Sonata, Santa Fe, Genesis, Elantra GT, and Tucson in the DIY update club, though only models with compatible entertainment systems from the factory are eligible. Otherwise you'll have to either install an expensive aftermarket head unit with Android Auto support, buy a new car, or just wait for that Android Auto view mode to come to standalone phones.